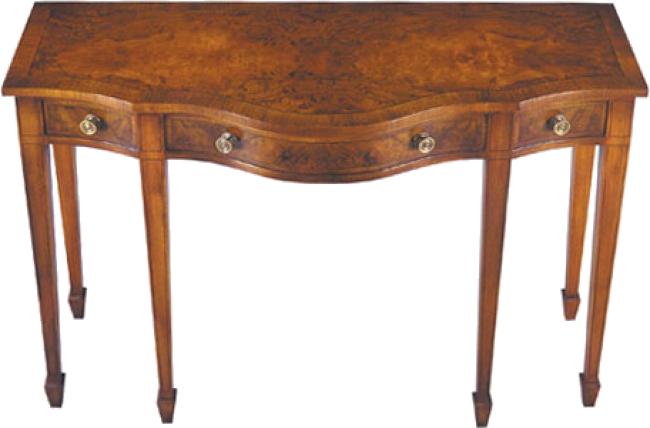 Serpentine shaped console with faux drawers and antiqued solid brass hardware. Square tapered legs terminating in spade feet. Pictured in Burl Walnut.